Written by Adrienne Blomberg, International Board member of Micah Network living and working in Liberia with her husband Winston. Adrienne was the former Director of Siam Care in Thailand. Ebola is all around and influencing every aspect of life; it is what we talk about all day, it is what we think about, it is what we hear about on the radio non-stop, it is what we worry about, it is what we plan our next move around, it is what the newspapers are filled with, it is what our prayer times and petitions are about, it is what those who grieve are grieving about, it is what the new orphans know all about, it is what the myths and tales going around are about, …...... in short it is about what dominates our lives at the moment. Liberia as a country is going through a tremendous traumatic time and this trauma, even once it is over will take a long.... and I mean LONG time to get back on its feet. .... and so the list continues. 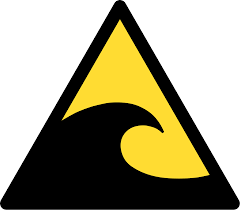 I was thinking about the time of the Tsunami that hit Thailand (and Southeast Asia) in 2004. Three waves hit in succession. After the first one, everyone was in shock but before they could really look around and take stock a second wave hit, it was only a matter of seconds, minutes maybe but it wreaked havoc. Those who survived were dazed, called out for loved ones, looked around at the destruction done, started climbing down trees, rooftops..... then a third wave hit. Now they decided to stay where they were if the place was more or less safe, who knew what else was coming........! Rescue workers found 'frozen' people on hills and mountains, not willing to move for fear, large parts of the nation were severely traumatised, then the rebuilding started. I can't quite remember how long the tsunami lasted all together but less than a full morning – yet I remember how long it took to rebuild after that devastation. Rebuilding roads and buildings was one thing, rebuilding livelihoods another. Rebuilding lives was a whole different story. How long will it take to restore the aftermath? Right now we can't even think about restoration, right now all we think about is stopping the waves, turning the tide and that is not an easy task. I still believe it can be done but it needs lots of work on all fronts; myths and superstitious beliefs will have to be tackled, denial and behaviour change will need to be met and wrestled with, traditional and religious harmful practises passed down over generations will have to be stopped, more treatment centres will have to be opened, more (food) support for those contacts who need to quarantine themselves will need to be available.....and again the list continues. Let us stand with Adrienne and Winston as they serve in Liberia and pray for all who are involved in responding and surviving to this terrible outbreak. 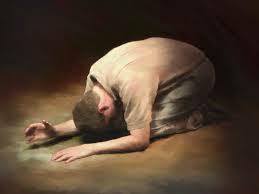 Commit to intercede daily and be willing to act as God leads in responding. Women of Hope International have put together a prayer calendar covering 21 Days of Prayer for ebola, from October 11th - 31st. Please download, use and share this resource with your colleagues. Listening and watching the news is harrowing – from crisis to crisis, from individual loss to national tragedy. We may feel overwhelmed and tempted to turn off the news because we are at a loss on what to do. In reality, we cannot engage with the poor, those who are oppressed, suffering, ill, unjustly treated unless we are willing to come alongside. When it is another country, someone else’s family or loved one, a distant war – it does not interrupt our lives. However, if it is our own country, affecting our own friends and family, destroying our own community and livelihood we suddenly find ourselves pleading before God, going the extra mile, serving and caring for one another. So, let us dare to engage and see those affected by the war in Syria and Iraq as our own brothers and sisters, communities in West Africa impacted by Ebola as our own community, those who are mistreated and marginalised as our own families. How would we respond? How would we pray? Please Lord, the pain and suffering in each family affected by Ebola is devastating, please Lord – intervene and stop this outbreak. Release the funding, the resources, the people, to work together to save lives and restore brokenness. Comfort those who mourn, strengthen the care givers and protect each life we pray. Lord in your mercy, hear our prayer. Please Lord, the fear and loss in each family affected by the war in Syria and Iraq is immense, please Lord – intervene and stop this fighting. Expose the truth, reveal the intentions, judge between the nations – bring your righteousness in. Turn each gun into a plough, each hand grenade into a seed and let there be no more war. Provide for those who have no food and shelter, give a safe space for each family to recover in. Lord in your mercy , hear our prayer. The 17th October is the International Day for the Eradication of Poverty. The theme for 2014: Leave no one behind: think, decide and act together against extreme poverty. The 2014 theme recognises and underscores the demanding challenge of identifying and securing the participation of those experiencing extreme poverty and social exclusion in the “Post-2015 Development Agenda” that will replace the Millennium Development Goals. Lord, renew our strength and persistent to continue to raise awareness against the travesty of extreme poverty and to act together to address it. Help us work through the post-2015 agenda and consider our part in it. The World Evangelical Alliance encourages us all to join in prayer together on November 9 for our brothers and sisters suffering under persecution for their faith in Christ. More than 100 million Christians around the world face persecution daily because they confess Jesus Christ as their Lord and Savior. These persecuted brothers and sisters in the faith are in urgent need of prayer and help. Every year, the International Day of Prayer for the Persecuted Church (IDOP) gives us the opportunity of joining together with millions of Christians around the world to pray for persecuted Christians. For more details and resources of IDOP, visit the WEA's webpage here. 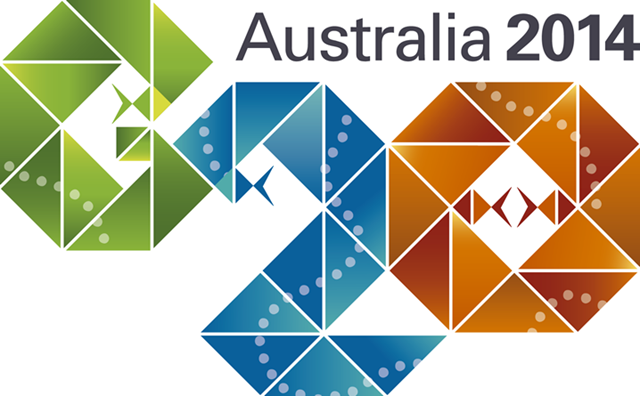 Micah Challenge calls us to commit to praying for the G20 Leaders Summit, where important decisions concerning global economic systems will be made. Join us from November 7-16 to pray for breakthrough on transparency in government and business reporting. New rules would help all nations to collect taxes more efficiently, and for citizens to know how money is being spent. A full prayer guide for the 10 days is available here. Each day has a prayer, a quote to inspire and a bible verse. Please do not neglect this wonderful opportunity to be a voice for justice in your prayers. Cambodia: Good Governance and Accountability: an integral mission conversation was held on 9th to 10th October 2014 in Phnom Penh. Please pray that the learning and conversations which were had at this meeting will continue to have positive impact across Cambodia. May God use this time to call his church to greater transparency and integrity. 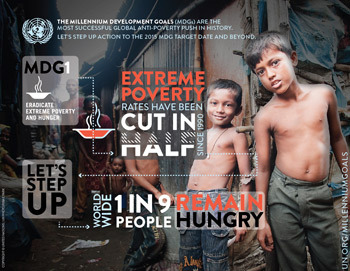 Micah Summit: From Sunday 7th December to Tuesday 9th December – Micah Challenge will focus on the impact of the MDGs, celebrating the progress and lamenting over the missed goals. Please pray for the preparation and facilitation of this Summit. Pray that it may be a defining moment when we all commit together to continue to stand against extreme poverty and injustice. Micah Transition: the ongoing preparation to launch the new Micah (the coming together of Micah Network and Micah Challenge) is progressing well. Please pray for the wisdom and discernment of the transition team and the joint Boards as they meet this month to finalise the strategic direction proposal.